Well, my daughter did that thing last night. And the night before. And the night before that. She actually did that thing for an entire week. She fell out of bed in her sleep AND DIDN’T EVEN WAKE UP. first few times I woke up confused. What time was it? Why was it light out? Was there a gas leak? Did she die? Did I die? Was this Heaven? On the third night, I awoke cautiously at our normal wake up time, 3:00AM, and looked at her sleeping body. I squinted one eye in the limited light of my charging cell phone and checked to make sure that she was breathing. She was definitely breathing. I put my hand on her chest just to be extra sure. Yep, breathing. Nothing catastrophic had happened. We were all still alive, she was just doing that thing that thing that we don’t speak of. That glorious, amazing, life changing thing. Can you guess what happened next? I couldn’t go back to sleep. She was doing the thing that we couldn’t say out loud (because then obviously she would stop doing it) but I couldn’t manage to do it myself. Yet another reason why they say when you become a parent, you will never sleep again. In all of the chaos and stress of the early days, your kids end up sleep training you. Another week went by of this, and then two. Sometimes the good thing happened, and sometimes it didn’t. Sometimes my daughter would make it the entire night without waking for any reason, and sometimes a nightmare would have her up screaming an hour and a half into the night. At just past two years old, I no longer cared. Gone were the days of waking up at two and three AM for the day (yes, that was what the two year sleep regression was like for us and it was a circle of hell I’d never like to revisit). Since my daughter dropped her one remaining nap around 18 months, the days had grown longer and longer. I was way past ready to make the trade for a full night of sleep since I was no longer guaranteed any rest during the day. 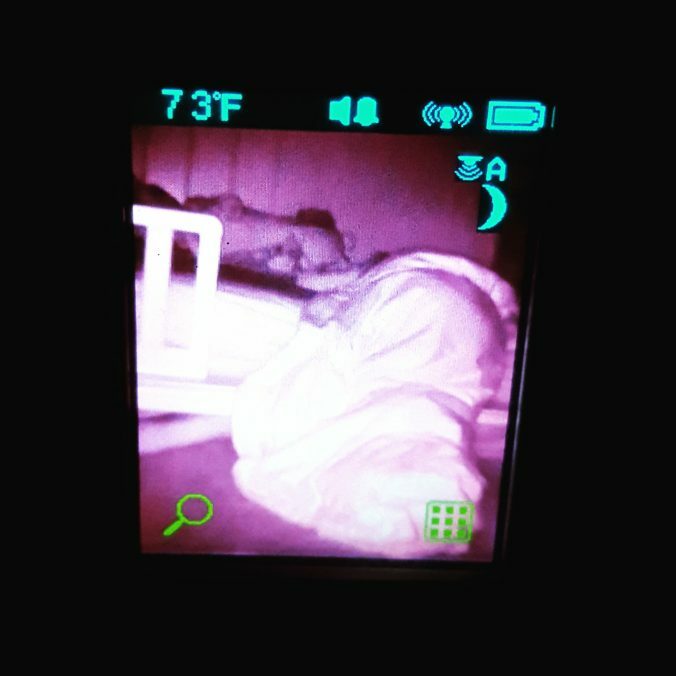 And now that my daughter is finally doing the thing that we don’t speak of, and most nights I am guaranteed peace and quiet from roughly 7:00PM to 7:00AM, I can’t sleep. That’s right, sleep training works, just not the way you want it to. Now, I wake up every night around 2AM by myself. Sometimes I can fall back asleep right away, but most nights, I toss and turn until I eventually drift back off to sleep. That moment usually comes approximately an hour before my daughter wakes up for the day. I am just as tired as I ever was. Actually, I may even be more tired now than I was before. Which, probably isn’t the worst thing in the world since I am approximately a heartbeat away from starting all over again with a newborn. Until then I will just have to take solace in the fact that I can say for certain that sleep training can work, if you really put your mind to it. If you work really hard, and follow all of the directions that you find on the internet, someday you too can be sleep trained. I mean, your child will eventually sleep soundly through the night. You, on the other hand, not so much.